Since my arrival to Belarus, United Nations didn't waste time; I didn't either. Here is the partial report of incidents committed against me by United Nations in Belarus alone(within 30 days of my arrival to Belarus on April the 21st, 2017) only that was submitted to Belarus Immigration(police) on May 26th, 2017. Report can be seen and downloaded in English from http://docdro.id/jRaM9CF and in Russian from http://docdro.id/Lp4SYR0 THIS IS WHY YOU HAVEN'T HEARD FROM ME IN A VERY LONG TIME, BUT YOU WILL BECAUSE EVERYTHING STATED HERE AND MUCH MORE WAS AUDIO RECORDED(well documented) !!! Complain(partial complain only as list is much longer) can be seen at or downloaded from http://docdro.id/MvZz6t7 It was submitted to Belarus Immigration authorities on May 12th, of 2017. 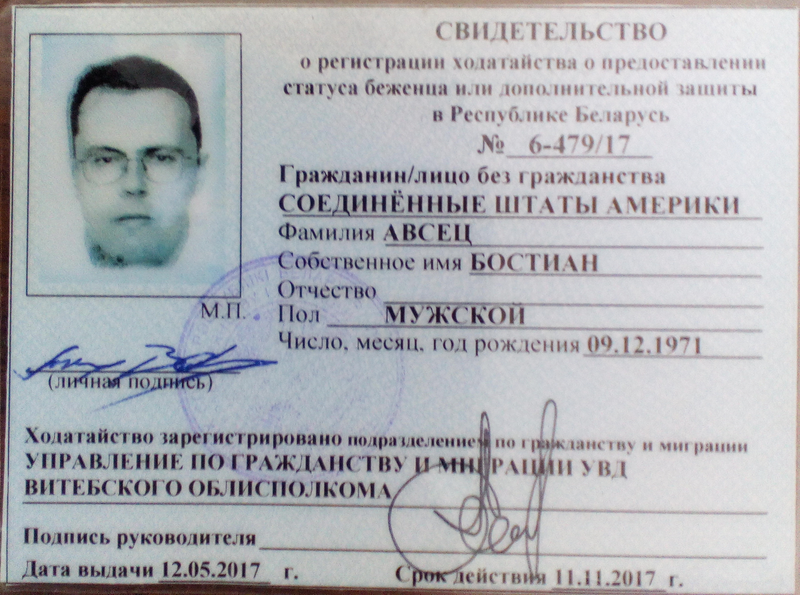 EXTREMELY problematic(IMPOSSIBLE) political asylum procedure(situation) in Belarus. I am experiencing EXTREMELY problematic(IMPOSSIBLE) situation in Belarus. It is thanks to United Nations and possibly even more...we will come to the bottom of this once and for ever. I regret that things have developed this way, but it is better to present facts than to fool ourselfs with issues that do not and have never ever existed. New videos coming on my political asylum procedure in Belarus(hours of abuse and lies audio recorded and I just got to Vitebsk 25 days ago). When you don't hear from me, it is because I am either incapable to give update(physically prevented from providing one) or in the middle of the investigation. The individual here in Belarus that is involved in this case was told what will happen if he will force his way...he have seen what have had happened with others who forced their way in my case, yet he goes on with it...it is just fascinating. Yes, I will again lose precious time(I already have thanks to him) and it is because of this very fact that I will now lose one even more(you know what will happen when you do things like this and you do it anyways - thats just fine with me). 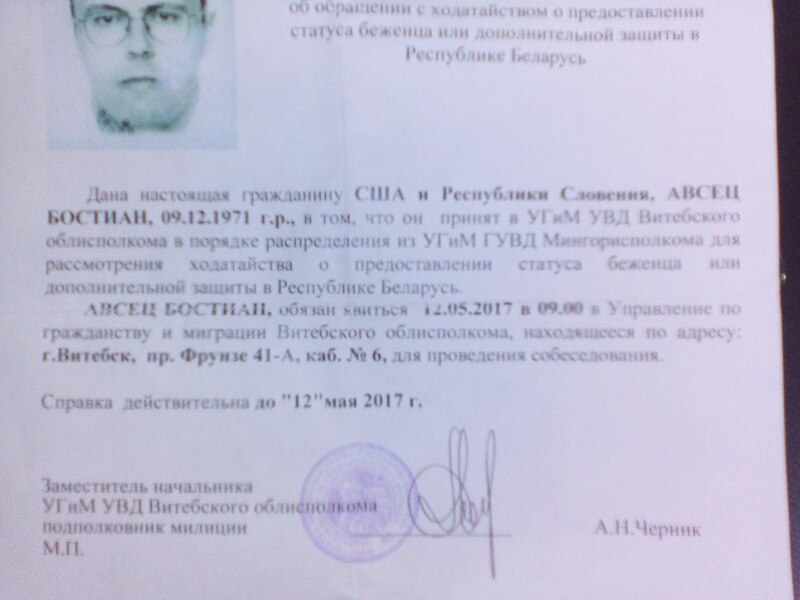 He is lawyer for UN in Vitebsk who needs promotion(to earn some more money) to Minsk(will keep his and others' names who are involved in this case totally confidential because goal is much bigger than few individuals here). His actions are proportionate with orders of Jean Yves Bouchardy who is the UNHCR Representative in Belarus for Belarus !!! We don't want you in America any more !!! Go home or we will kill you !!! EXILING WHITES(US citizens) WITH EXTREME PREJUDICE AND IMPORTING NON WHITES IMMIGRATION REQUIREMENTS FREE !!! Learn the truth about your constitutional FREE SPEECH right that is covered by first amendment and what tens of millions of Americans have already learned about after exercising one, I cite "We don't want you in America anymore; go home or we will kill you" !!! 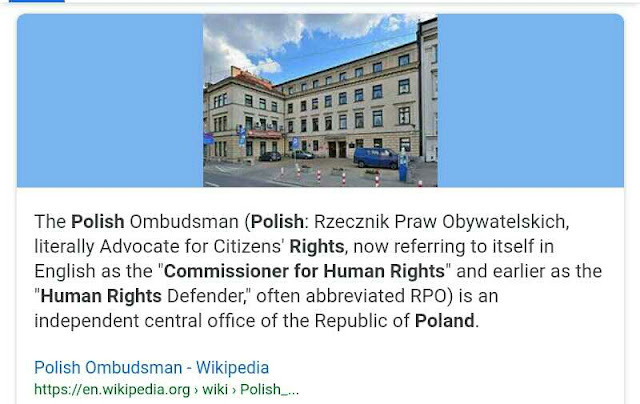 Human rights for non whites and genocide for you !! !